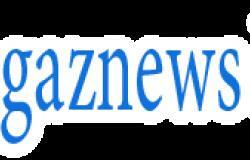 She's endured quite a challenging year as she was faced with two attempted break-ins at her Cotswolds mansion, and was also plagued by split rumours from husband David Beckham. 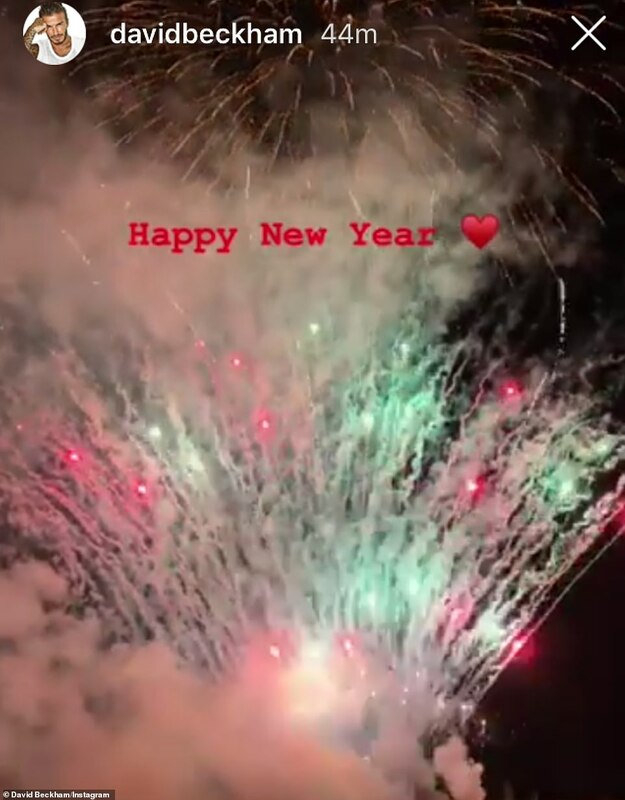 But Victoria Beckham, 44, ensured she rang in 2019 with a bang as she took to Instagram on Monday to document her New Year's Eve preparations, looking as glamorous as ever in a sophisticated tuxedo dress. 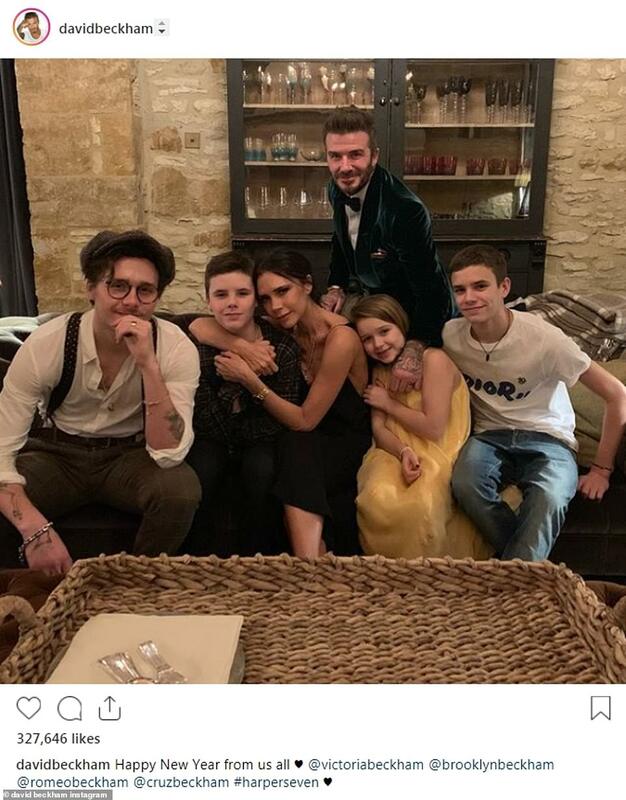 Hours later, her husband David, 43, took to his Instagram with a sweet family shot, which saw him and Victoria wishing their followers a Happy New Year alongside their brood - Brooklyn, 19, Romeo, 16, Cruz, 13, and Harper, 7. Spice Girl Victoria - who is reportedly throwing an epic £30,000 New Year's Eve party with husband David, 43 - opted for her signature glamour as she slipped her slender figure into the elegant dress by her fashion brand, which retails at £1,300. 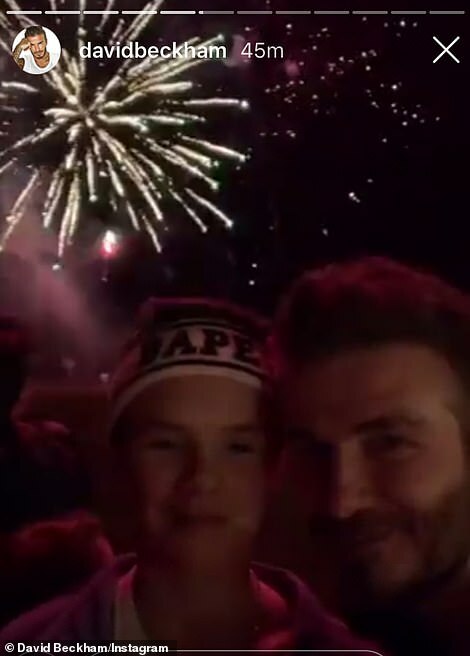 Meanwhile, David proved to be ever the doting father as he took to his Instagram Stories to document the fireworks at midnight. 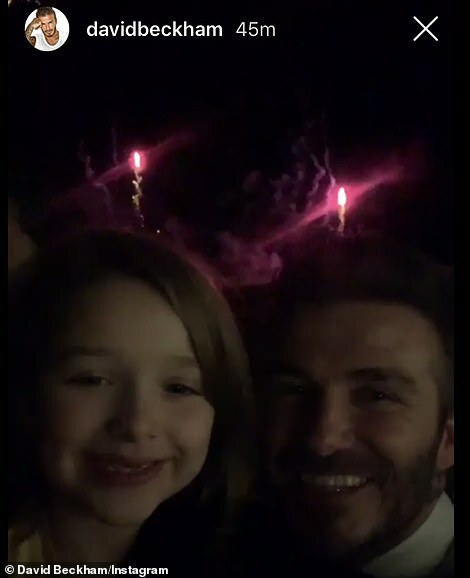 The star sweetly cuddled and kissed daughter Harper as they took in the spectacular display which lit up the night sky. He also ensured that his eldest Brooklyn and Cruz also enjoyed the festivities alongside him. 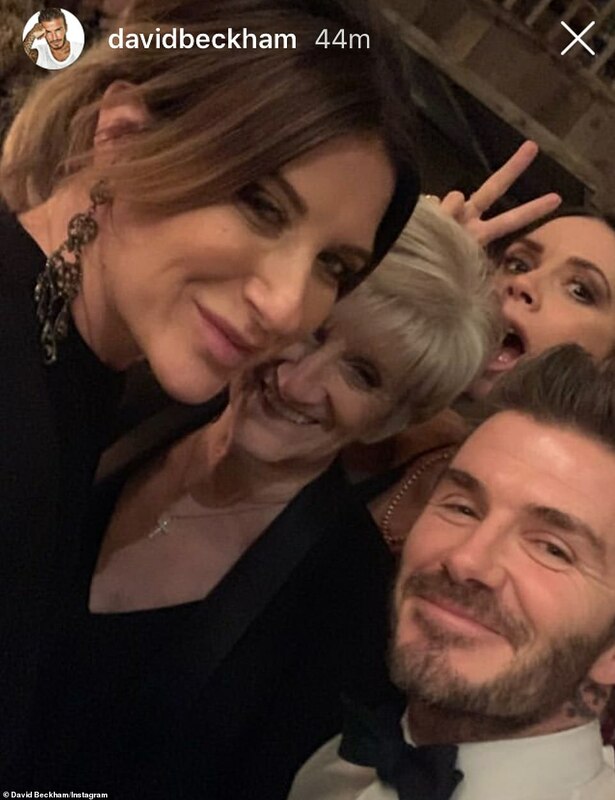 Proving it was very much the family affair, David went on to share a group snap alongside his mum Sandra Georgina West, sister Joanne and wife Victoria. 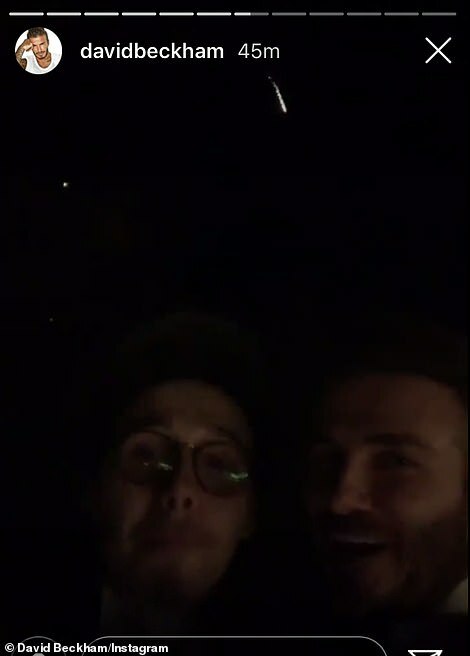 Brooklyn also looked like he was loving life as he and model girlfriend Hana Cross, 21, ended 2018 together, sharing a steamy kiss as the clock struck midnight on New Year's Eve. 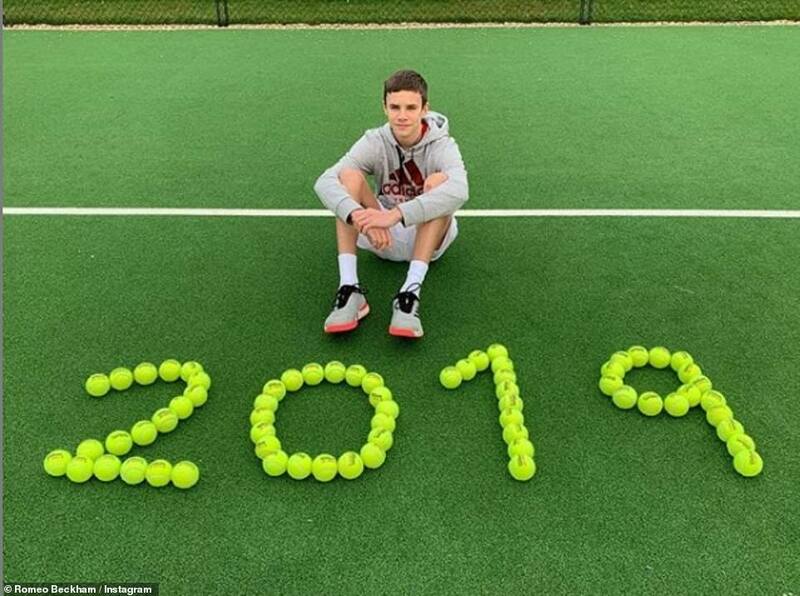 Also appearing in high spirits was son Romeo, who wished his fans a happy new year while posing alongside a 2019 sign made of green balls on a tennis court. Aspiring model Romeo appeared excited for the new year as he posed alongside a 2019 sign made out of tennis balls, and captioned the image: 'Happy New Years everyone hope you guys have an amazing 2019 !!'. 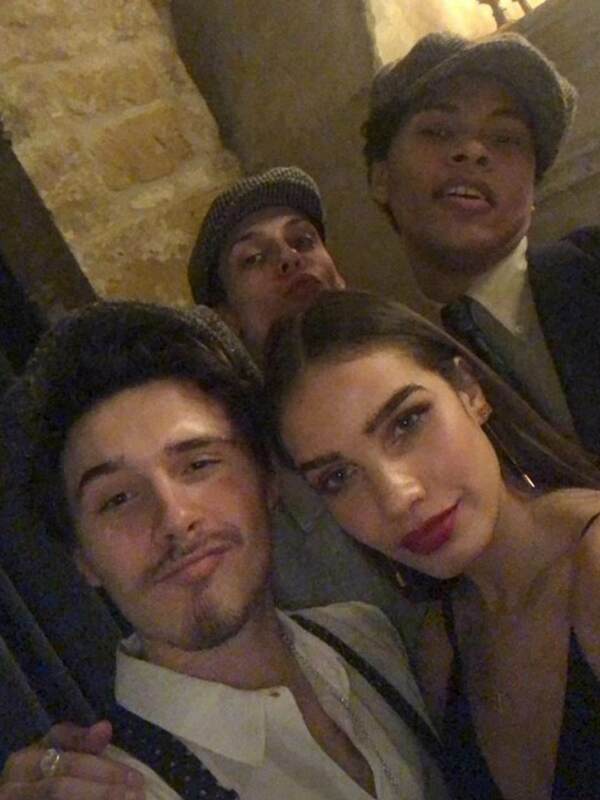 Brooklyn and Hana both shared Instagrams of their fun night, as they celebrated the start of 2019 with Brooklyn's family, in what looked to be an epic party at their Cotswolds home. David and Victoria reportedly invited twenty of their closest friends and family to a showstopping bash, held at their Cotsworld estate, The Sun claimed. 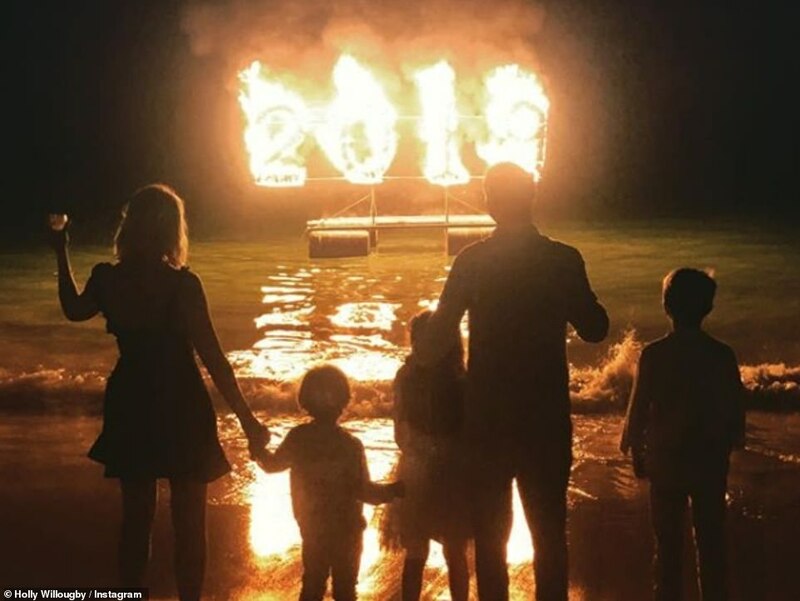 Also toasting to the new year was presenter Holly Willoughby, 37, who joined her husband Daniel Baldwin and three children; daughter Belle, seven, and sons Harry, nine, and Chester, four, for an intimate firework display. 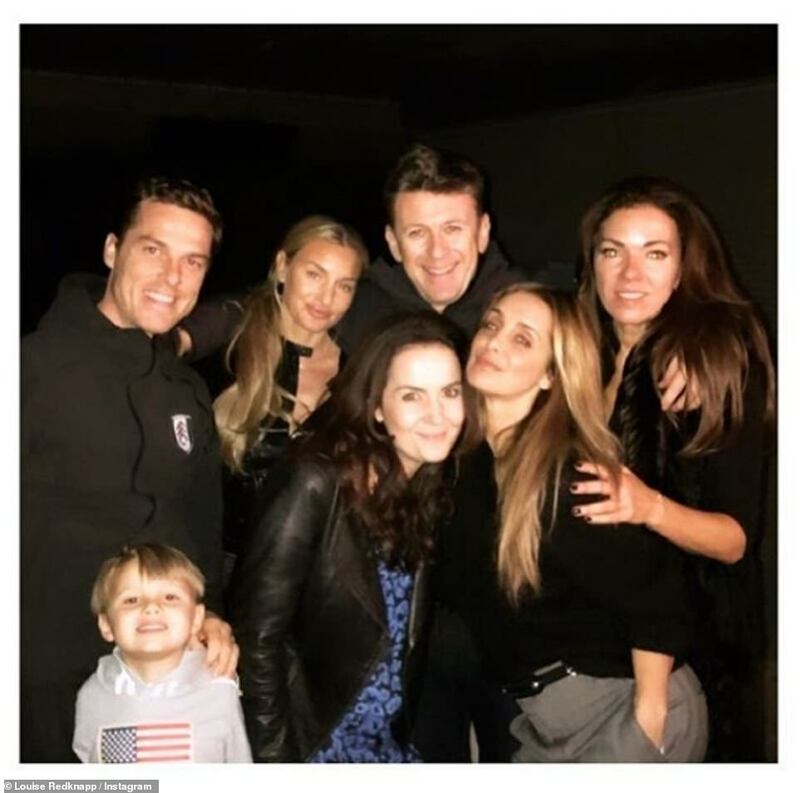 The ITV star - who recently returned from Australia following her I'm A Celebrity stint, proved family comes first as she captioned the image: '2019... as long as you four are beside me ... we’ll be just fine...'. Following in her footsteps was I'm A Celeb contestant Emily Atack, 29, who shared snaps of herself holding up a glass of fizz in delight following a successful year. 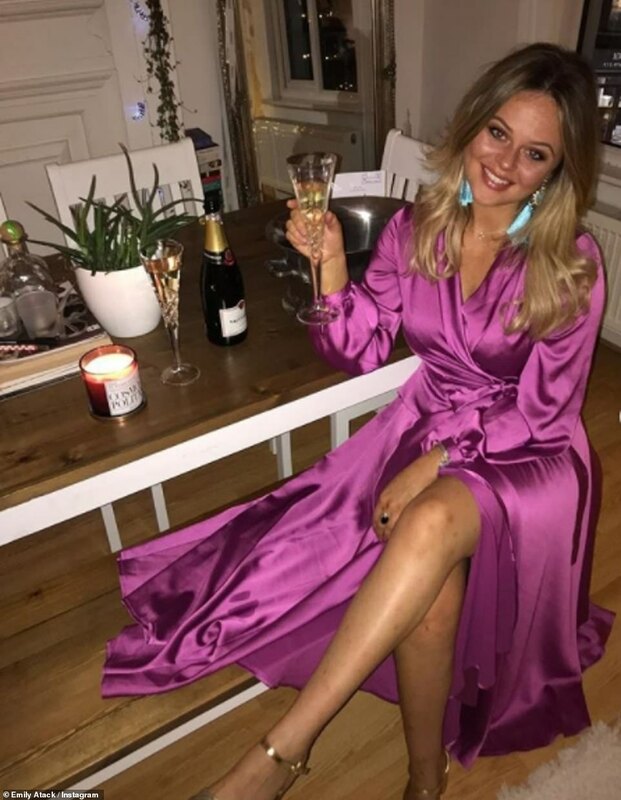 The former Inbetweeners star - who recently revealed she's deleted all her photo editings apps - looked like the picture of confidence as she rocked a satin fuchsia dress, complete with metallic gold strappy heels and flashy blue feathered earrings. After finishing as runner-up on the ITV competition series, Emily reflected on her year filled with both challenges and achievements. The daughter of Kate Robbins penned: '2018 was plodding along... and then you all came along. I will never ever forget this year. (It would be a bit weird if I did). Thank you so much. 'However you’re spending tonight I hope you’re happy and healthy and hope you all get a big fat snog at midnight from someone fit. Happy New Year! 2019 let’s smash your back doors in!! All the love, friends', she added.